My sister, KoKo came back to visit us and took care of her businesses after moving to Ohio. 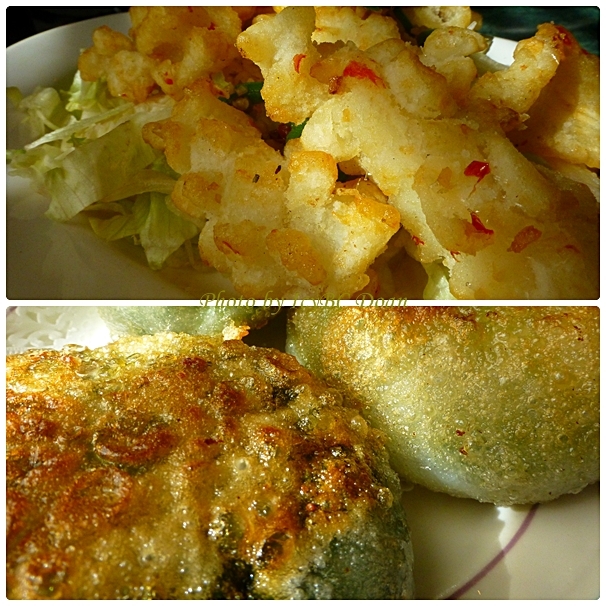 We decided to indulge in the yummy delicious dim sum, and went to have these dishes: pea pod greens, crescent shrimp wraps, and shrimp balls. They might look heavy for your liking, but this was lunch for us as we got there around 11:30 after church. 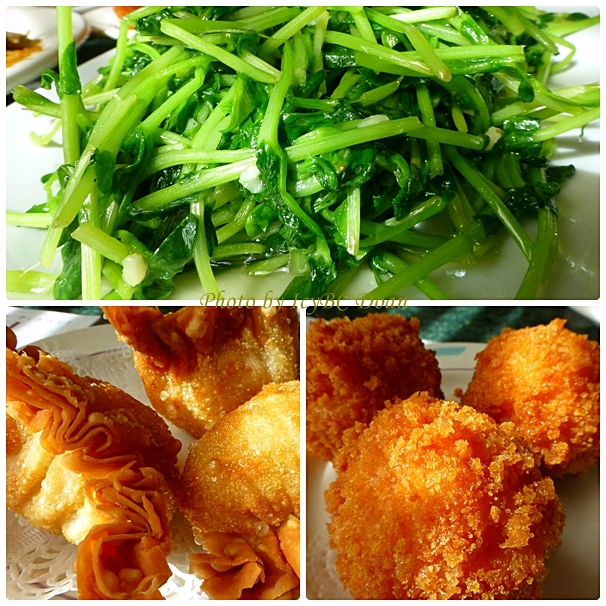 We had steamed dishes of "hai cao", siu mai, and stir fried noodles. 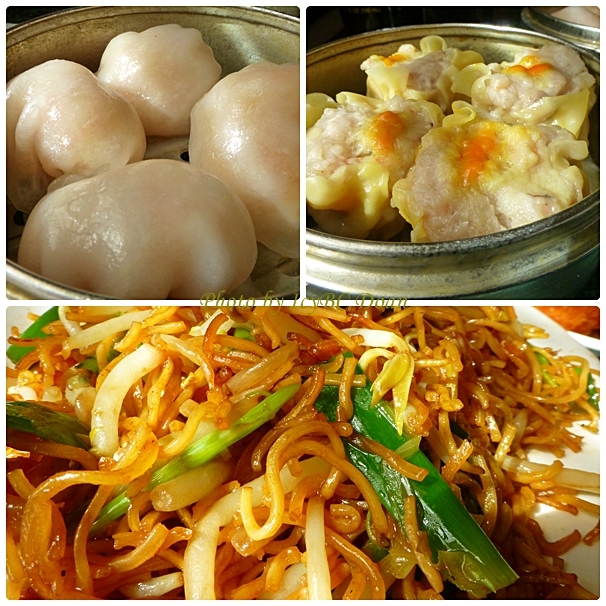 We went to Golden Harvest Restaurant to have dim sum, the only place on the East side that serves these breakfast style food dishes on Sunday, and is also very popular to many different Ethnic groups. The foods are tasty and average as I have better dim sum dishes in Canada. To keep up with demand, the foods seemed to be cold or had sitting on the carts for a while. The price of the dish has also jumped up, but to satisfy our craving, we have to be settled with what available. they look so delicious, I love dimsum, and they look so yummy! Look delicious! I hope you had a good visit with your sister!